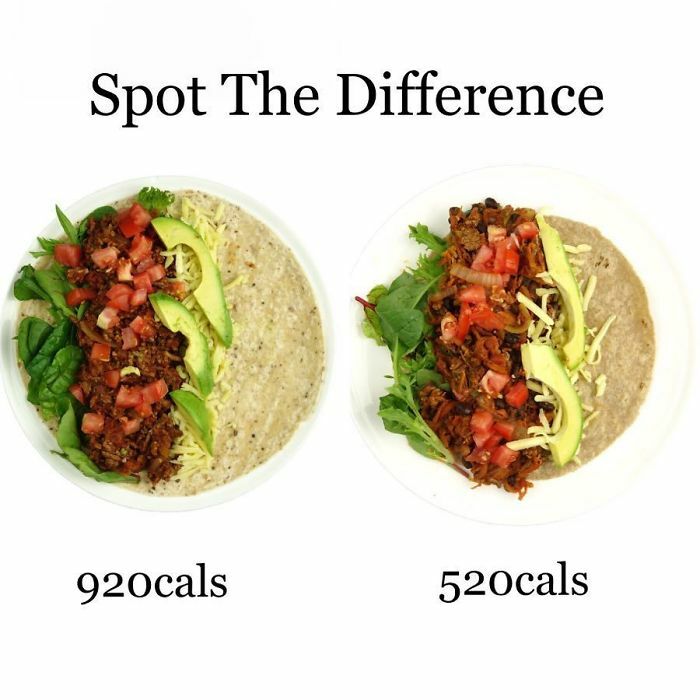 The liquid diet, the baby food diet, the raw food diet, people have gone to some pretty extreme lengths to lose weight, but even those who don’t follow the craziest diet trends and stick with plain ol’ healthy eating regimens, could be doing it wrong. 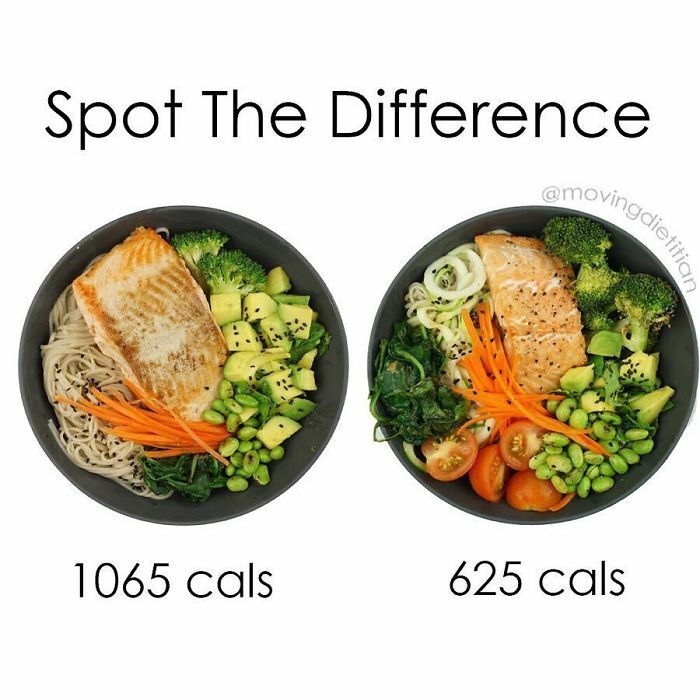 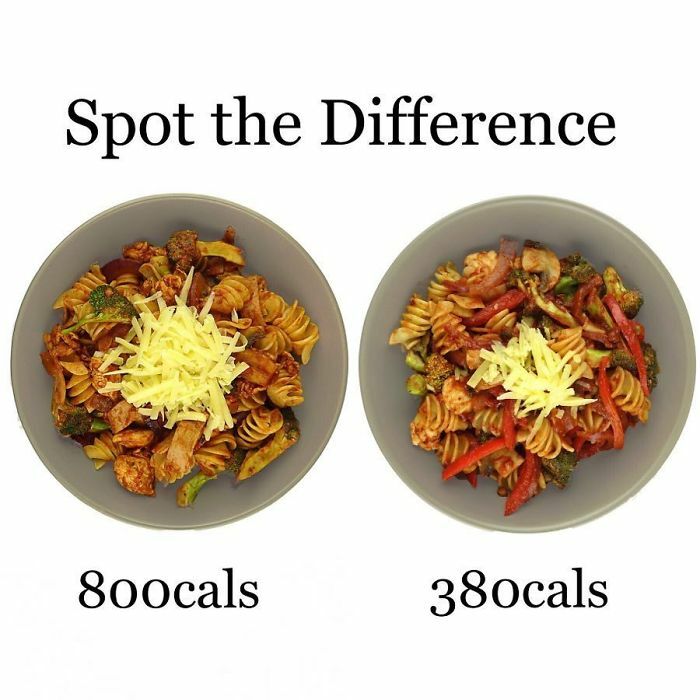 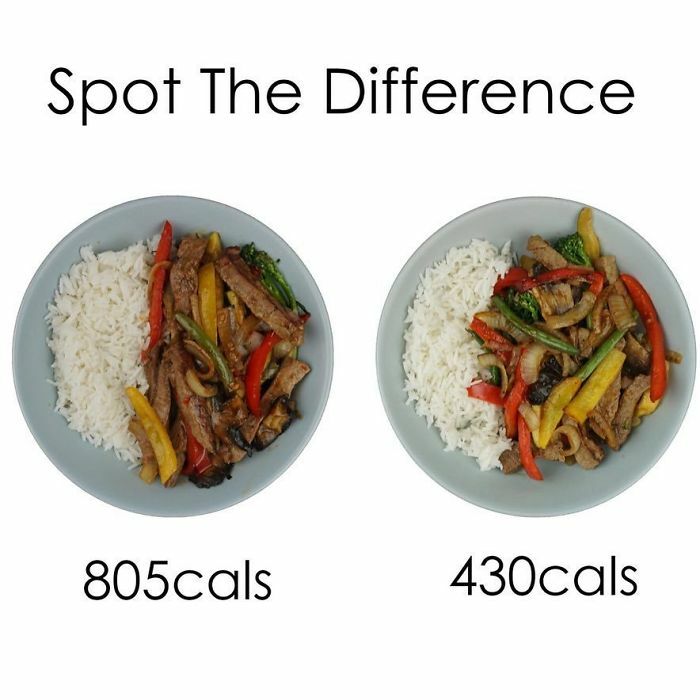 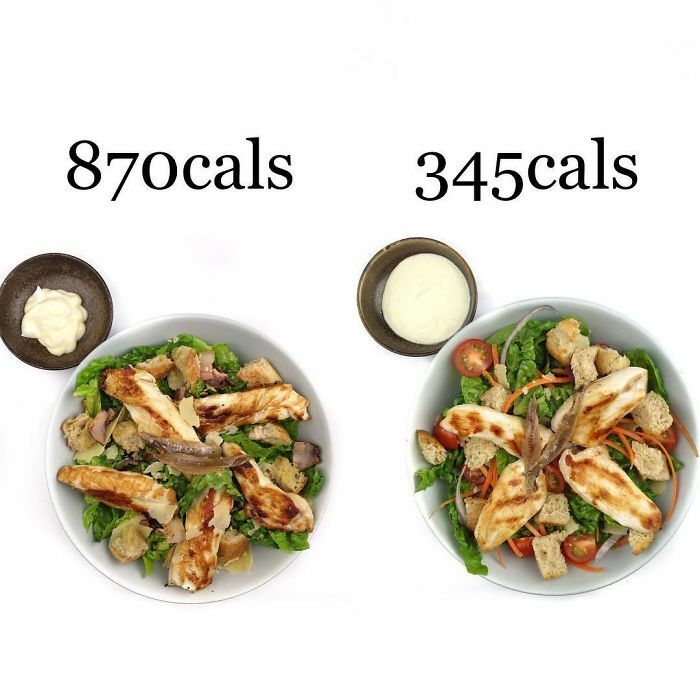 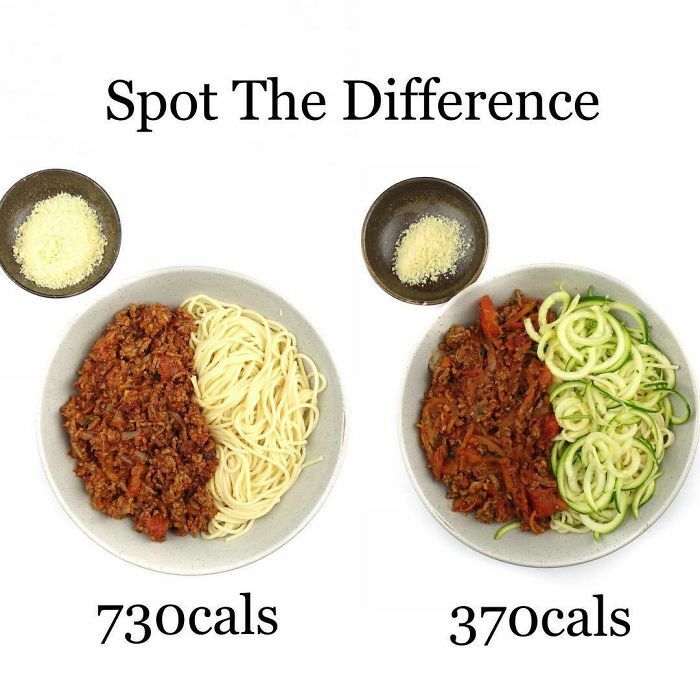 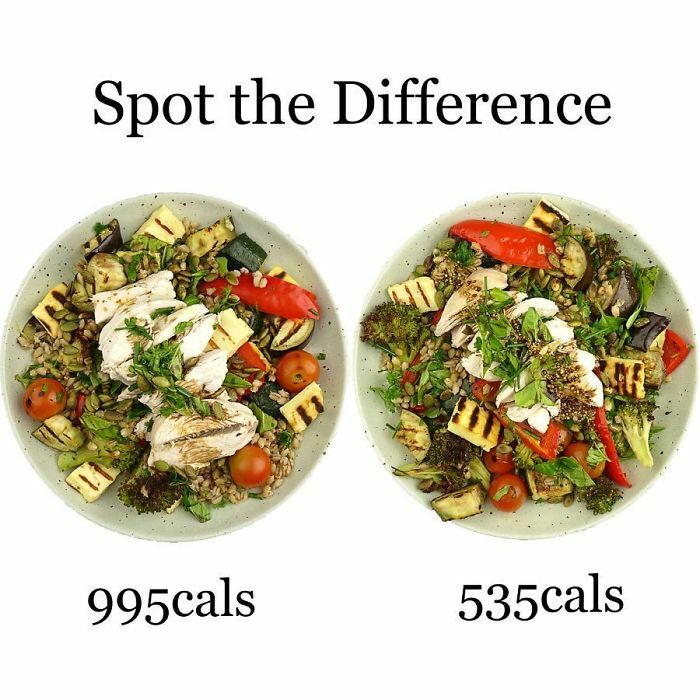 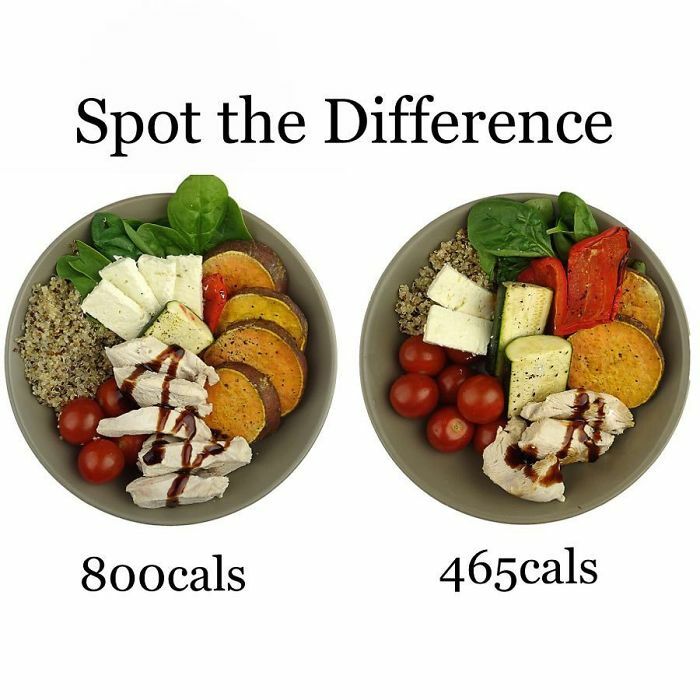 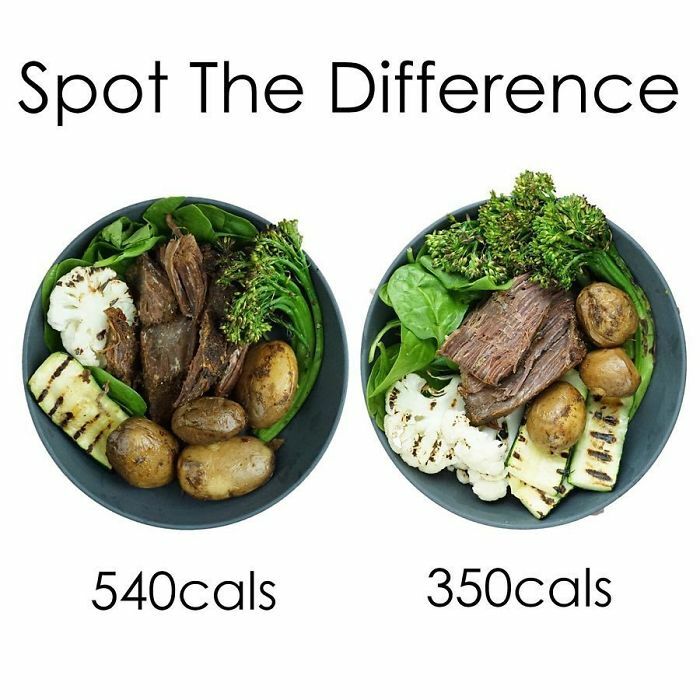 Yes, one dietician is shedding some light on these ‘healthy’ plate mistakes by posting identical photos of the same meal but with an upward difference of around 300 calories. 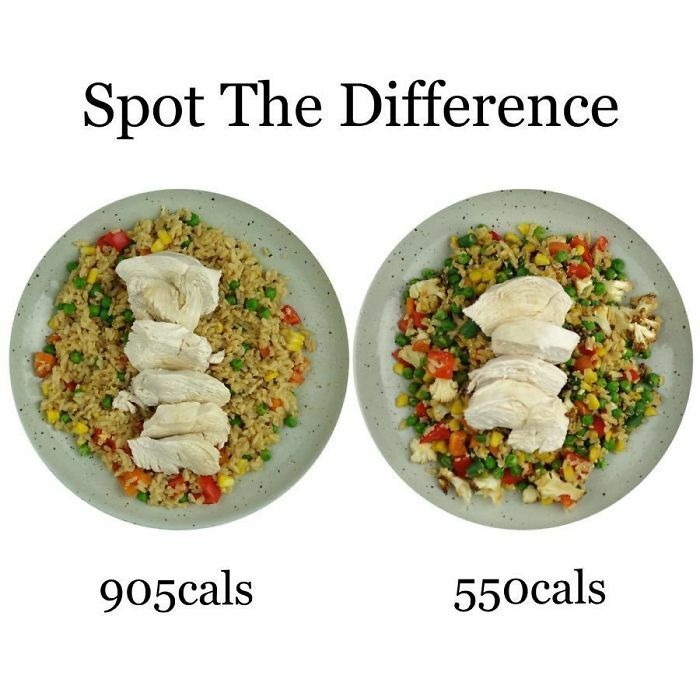 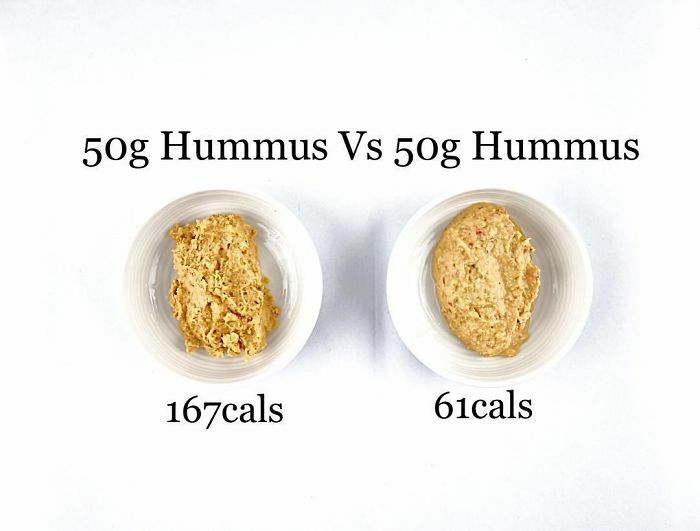 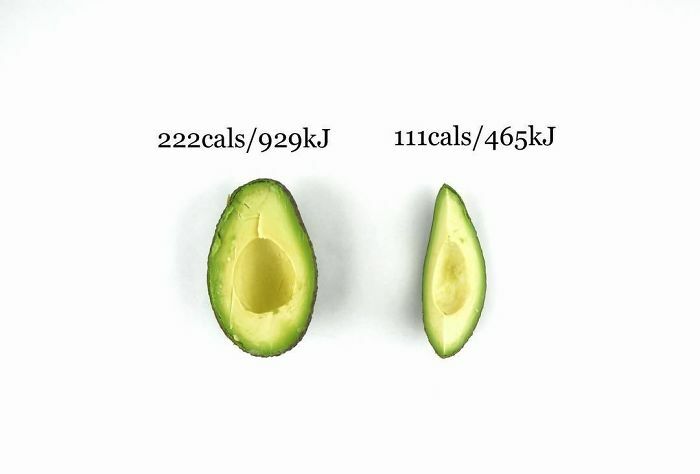 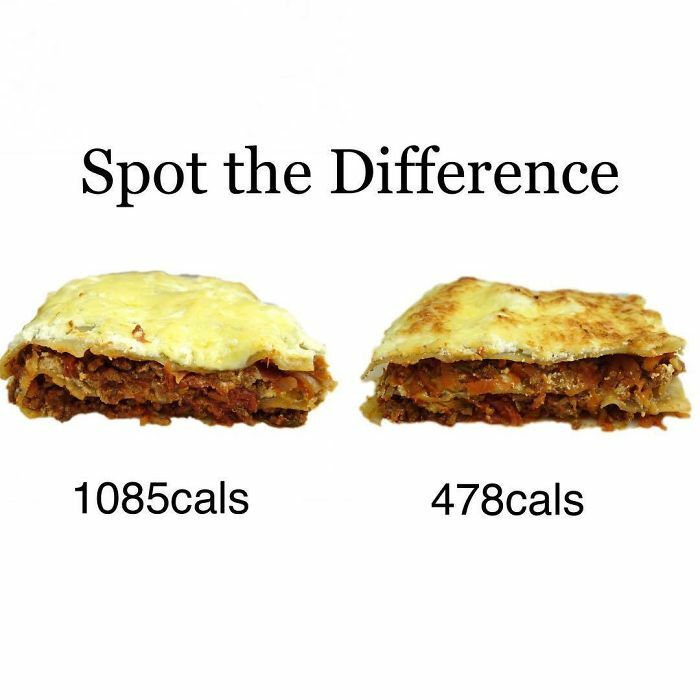 The nutritionist, Paula Norris, has captioned the collection on Instagram ‘Spot The Difference’ and trust us – you can’t. 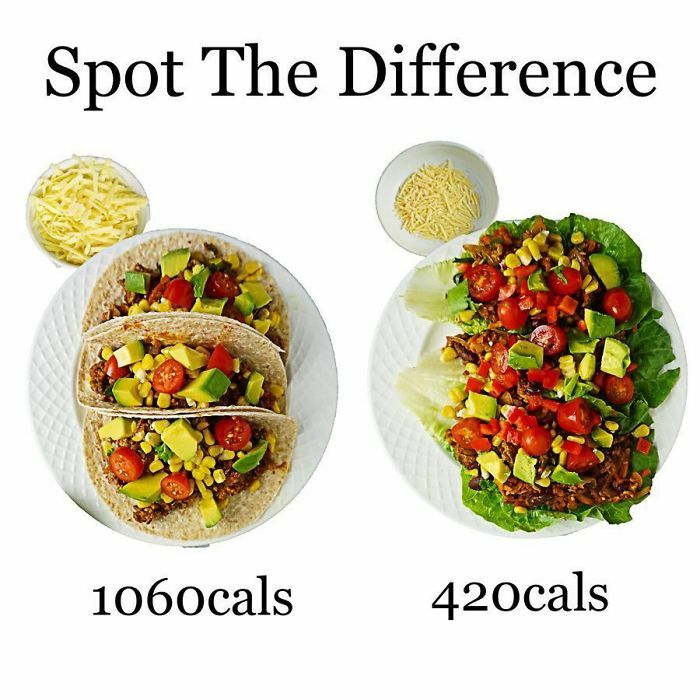 Along with the high calorie and low-calorie photos she writes out the calorie saving recipes and general healthy eating tips such as portion control, focusing on healthy oils and replacing starchy carbs. 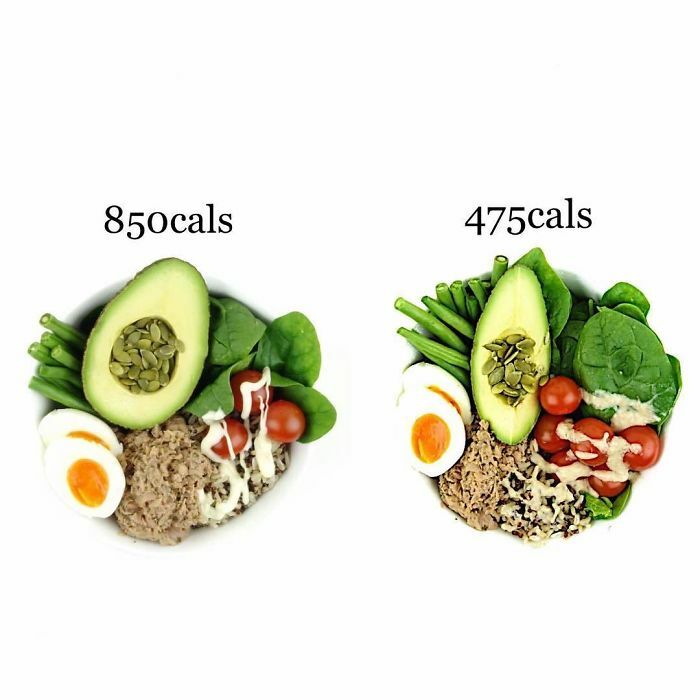 So you might think more calories and volume will help keep you fuller for longer. 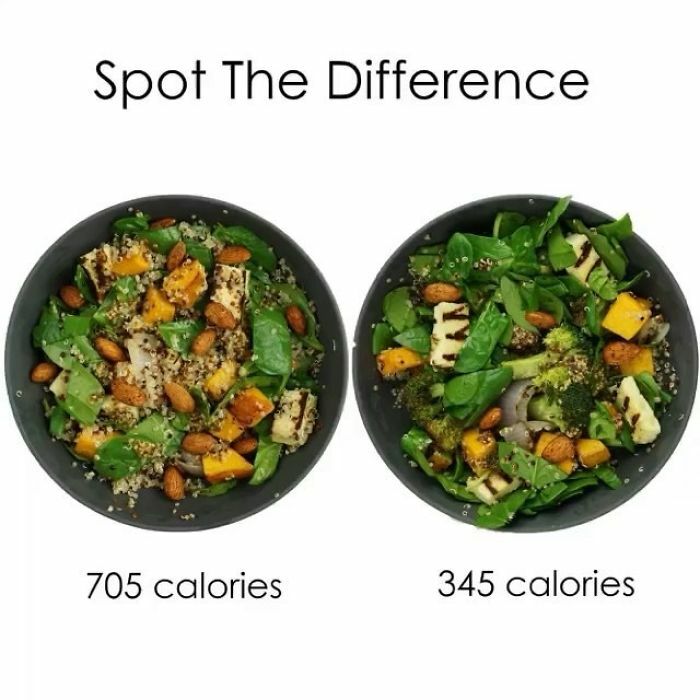 Unfortunately this is not always the case. 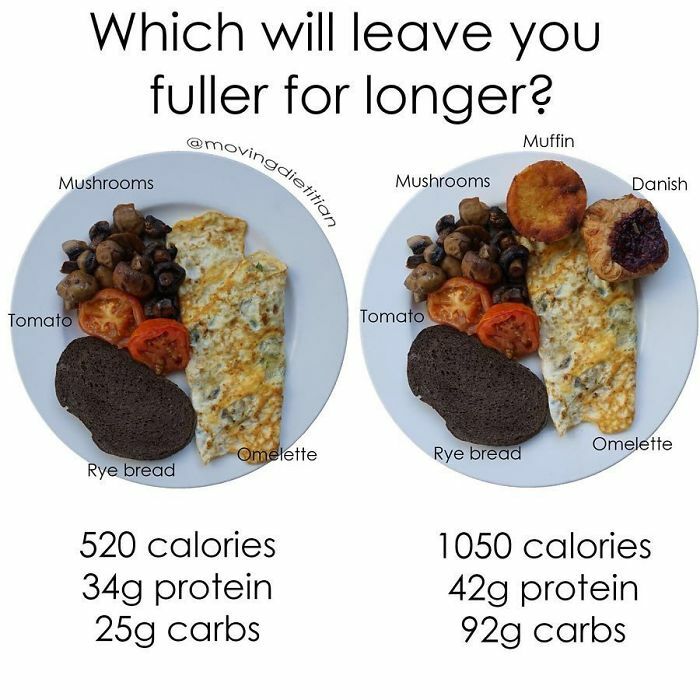 The high carbohydrate load thanks to adding the muffin and danish on the plate on the right hand side may actually leave you feeling hungry SOONER.When we eat a large amount of carbs in one sitting (known as glycemic load), our blood sugar levels go up relative to the amount weâ€™ve eaten. 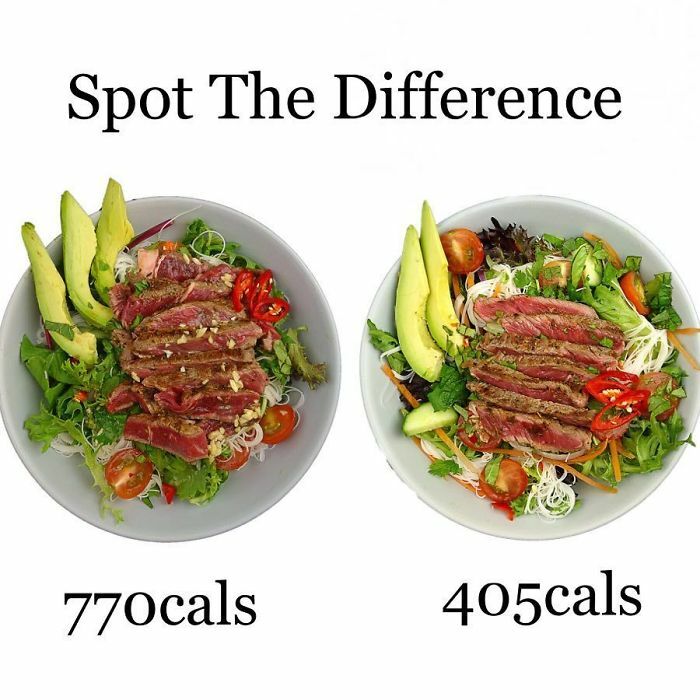 Our bodies then release insulin in an effort to regulate our blood sugar levels to bring them back to within a desirable range. 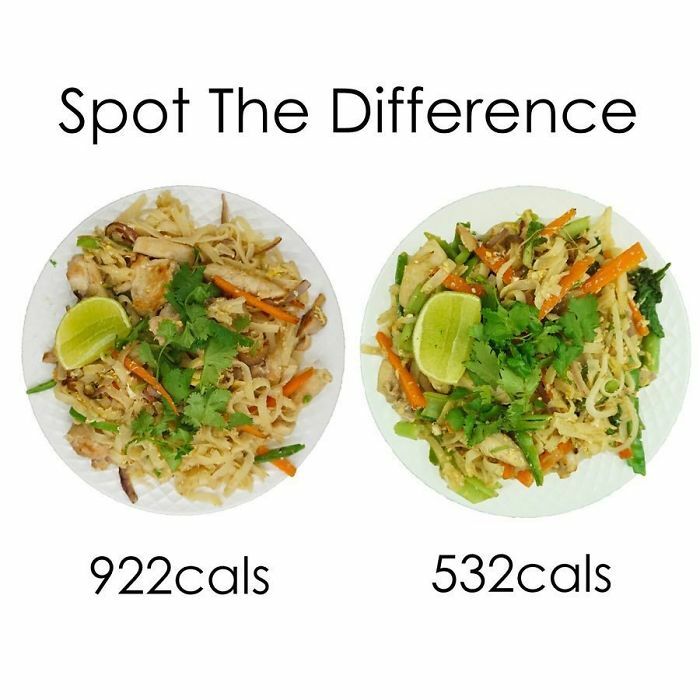 The spike and fall of blood sugar and insulin has been shown that it can leave people feeling hungry sooner. 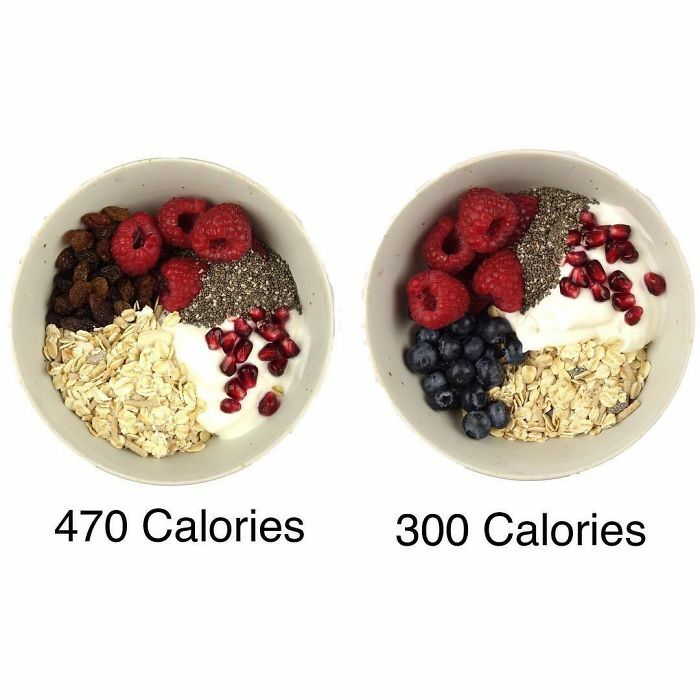 So while carbs are NOT BAD- our bodies are better at processing them when theyâ€™re consumed in moderate portions across the day instead of in huge loads. 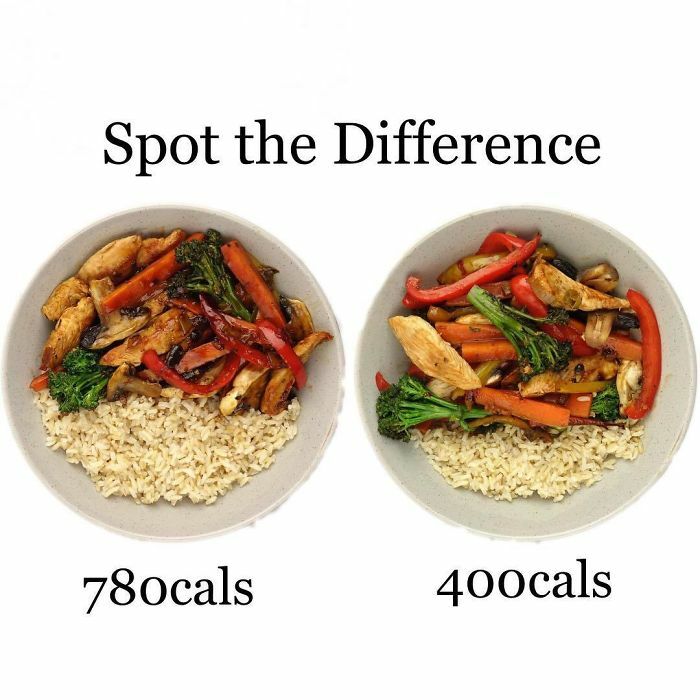 **Results will vary between individuals but it is something to consider if you find yourself often getting hungry soon after what seems like a decent sized meal! 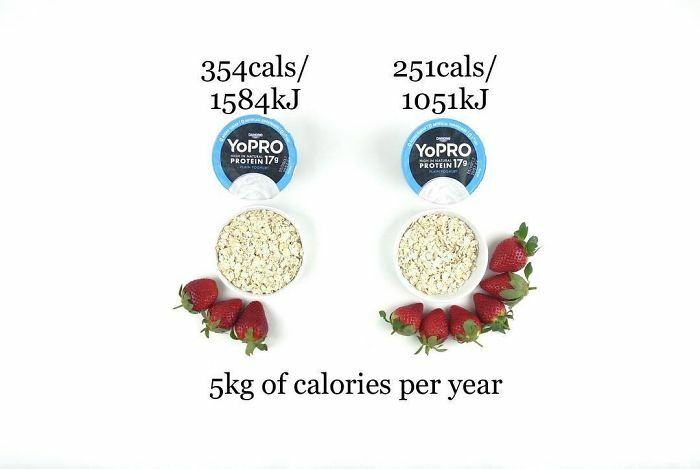 #20 Ott On The Oats?